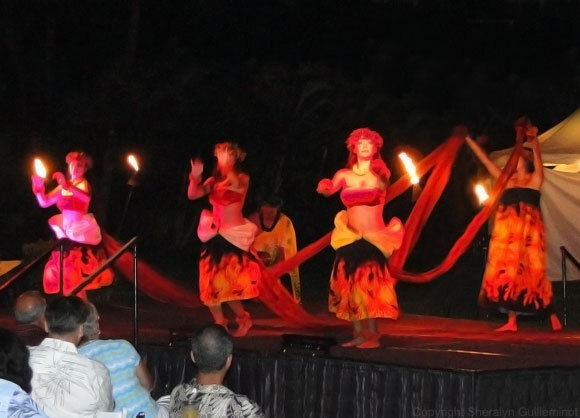 If a mix of the traditional and unique appeals to you, then keep reading - the Grand Wailea Luau is unlike any other on the island, and it could be the highlight of your trip! 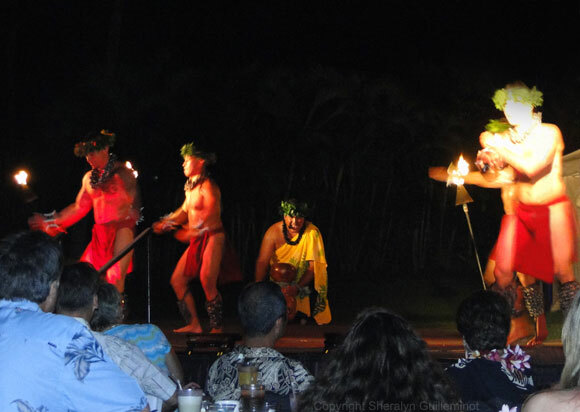 The show is called the "Grand Luau at Honoa'ula" and it's ideally located if you're staying Central or South Maui. In addition to the traditional hula dances and dizzying fire-knife finale, you'll also see a whimsical cirque-du-soleil-inspired performance and the parachute hula. Upon our arrival, we were escorted to our table by a friendly hostess. After we settled in, we had some time before the show started to wander around a bit as we sipped on our cocktails from the open bar. 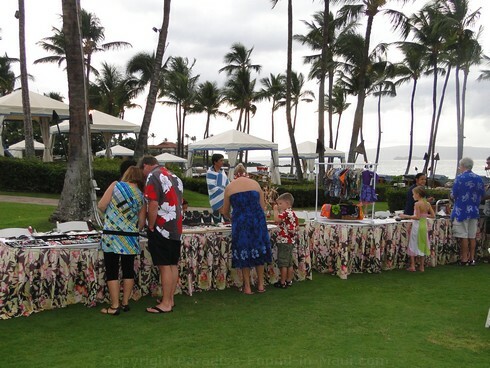 There were several tables selling jewelry, carvings and clothing items. There was also a games station where you could learn to play traditional Hawaiian games, plus a cool tattoo station for kids. TIP: Speaking of kids, if you book the standard seating, be sure to check if they still offer 1 free child under 5 years old with each paying adult. It makes for a nice saving! 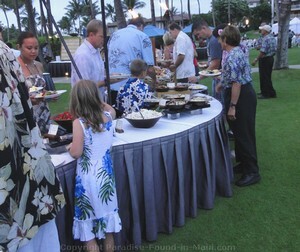 Grand Wailea Luau Review - Let's Eat! Before the show starts, everyone gets their turn at the large buffet. I topped it off with a tender fresh roll spread with macadamia nut butter. Mmmmm! There were so many choices, that I'm quite certain even the pickiest of eaters won't leave hungry. And now, if you have room, you can have another cocktail, beer or glass of wine... or if you need a hit of caffeine so that full belly doesn't put you to sleep, you can order a cup of complimentary coffee or tea. Since I know you didn't come here just for the food, let's get on to what to expect from the show, shall we? The show was about an hour long, and very well done. There are a series of scenes telling short stories from Hawaiian legend and history. 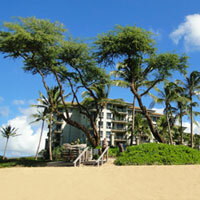 Plus, unique on the island, a cirque-de-soleil-style performance that involves literally swinging from a palm tree! Brave girl, the one who did that! 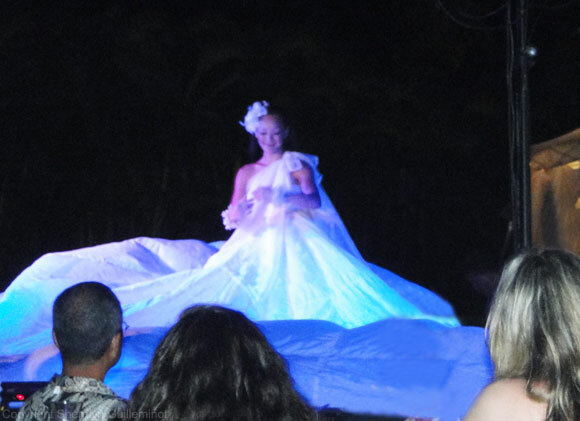 We see the Tahitians travel across the Pacific as they migrated to the Hawaiian islands, which is followed by the dream hula (a solo hula dancer performs a dreamy dance in a beautiful costume of reflective shells). There is the warrior's dance depicting the strength of the ruling chief, Kahekili, and his men. Pele's Voyage and the story of the Mo'o (a mythical lizard) was very entertaining. 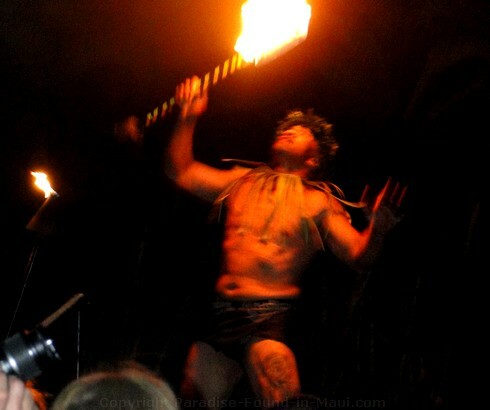 Last, but not least, the fire knife performance featuring Maui's 3-time winner of the World Fire Knife Competition showing off his skills during a dizzying finale! 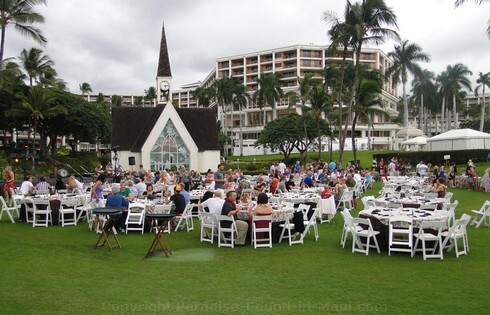 At the time we attended the Grand Luau at Honua'ula, they had 4 rows of round tables set up, with each table seating 10 guests. The first 2 rows of tables were the "premium seating." On the night we attended, whoever had booked the premium seating AND arrived first would get the best of the premium seating (ex. front row, center). If you arrived last, you would get the worst of the premium seating, even if you had booked a long time in advance. It's easy to find! 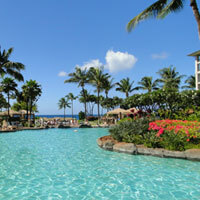 Head south of Kihei into Wailea, and you'll find the resort just off Wailea Alanui Drive. Play around with the zoom function on the map below to get a big picture view. Personally, I love Barefoot Tours for this. 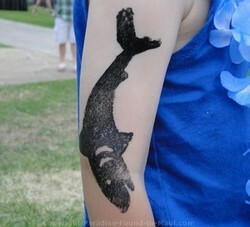 Whether I want to go to a luau, whale watch, sunset cruise, or tour the island, they always have something that suits me. booking everything in one place means if you have any questions, there is only 1 company that you ever need to call or e-mail about it - this is one of my favourite things about booking with them - it simplifies my life! And I'm not gonna lie - I do make a small commission if you use one of my links to book through them - it's not a lot, but it helps to pay for the expenses of running this site, and doesn't cost you anything extra. Check out available activities here. 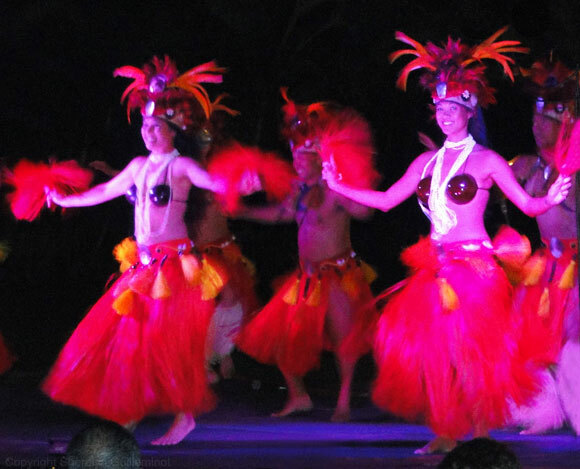 Benefit from my obsession with luaus by reading my reviews - not some generic canned write-up, but personal, with all the details and photos you need to pick the perfect luau for YOU. 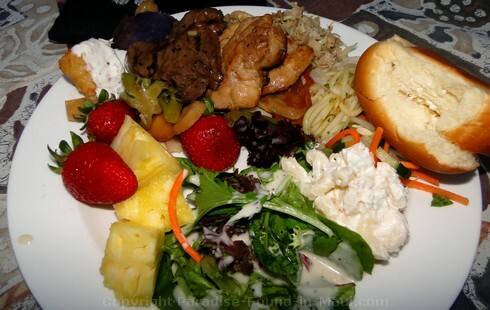 Click here to see all of my Maui luau reviews. 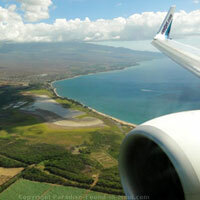 Wailea is an upscale area of Maui known for it's luxury resorts, great shopping, and fantastic beaches.